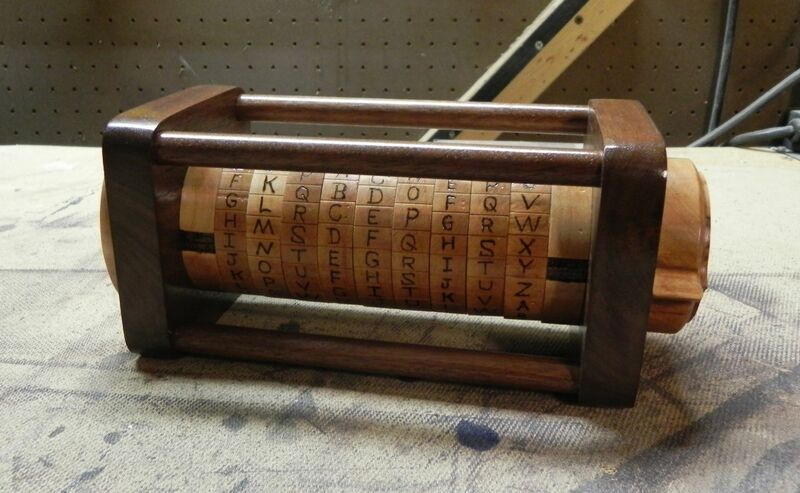 This was a Cryptex puzzle box modeled after the DaVinci Code movie prop. 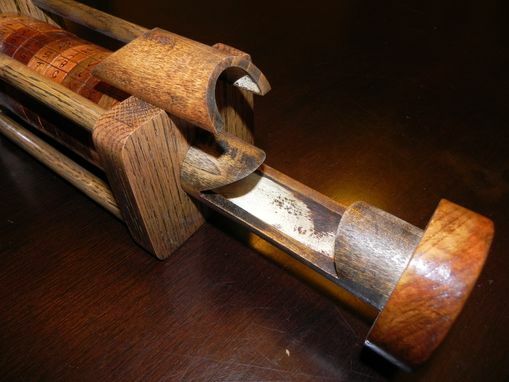 It uses a series of notched tumblers to hold a central tube in place unless the specified word is spelled out. Each ring must be precisely machined in about 7 operations before the outside can be marked off in 26 identical sections and burned with the letters, making for an extensive building experience but well worth it in the end. 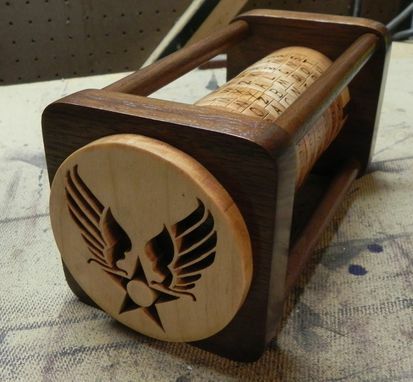 This particular puzzle was built for a new Air Force recruit, hence the wings, and is constructed from solid cherry and walnut.